Samuel Ben-Or Avital was born in the small village of Sefrou, near Fez, in the Atlas Mountains of Morocco. He was educated in the home of a simple and remarkable family, which traces its lineage to 15th Century Spain and before, carrying from father to son in an unbroken line, in the Sephardic tradition, the ancient, beautiful and practical wisdom of the Hebrew Science of the Kabbalah, which has been called the sacred work of soul engineering. In 1971, Samuel founded Le Centre du Silence Mime School in Boulder, Colorado, USA. As an artist, performer, teacher, mentor, creative consultant, coach, and author, his peers and students praise him for his innovative approach to personal and professional creativity. He has studied mime, dance and theatre in Paris, France with Etienne Decroux and Marcel Marceau. He toured solo in Scandinavia, Europe, North and South America, before settling in Boulder, Colorado in 1971. He continues to perform and teach extensively, holding workshops on Mime and kinesthetic expression, as well as teaching privately. Samuel is also the author of three books on mime and movement – The Mime Workbook (1975) (a German edition, Mimenspiel was published in 1985), Mime and Beyond: The Silent Outcry (1985), and The BodySpeak™ Manual. He is also the author of The Conception Mandala: Creative Techniques for Inviting a Child into Your Life (1992), co-authored with Mark Olsen. At a young age, Samuel embarked on the first of many adventurous journeys, which led him to Israel and later to Paris, France, Europe, Scandinavia, and the United States. During his travels from East to West, Samuel encountered and explored different schools of knowledge, including Alchemical and Sufi traditions, which he absorbed, and later synthesized into his own organic and Cosmic Kabbalistic learning. In 1949 he immigrated to Israel, in 1958 he traveled to Paris to study with the Masters of Mime, Etienne Decroux and Marcel Marceau. In 1964 he came to the USA. 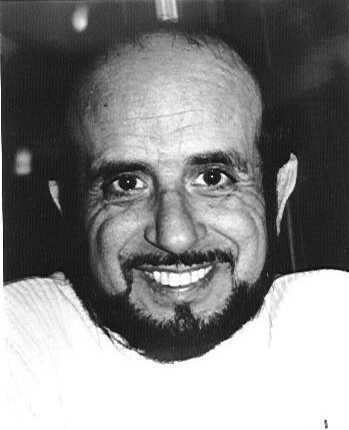 In 1971 he founded Le Centre du Silence Mime School in Boulder, Colorado, where he holds International Summer Mime Workshops, weekend workshops, public talks and private teaching consultations about the BodySpeak™ method of body work he developed over the years. Through a deep involvement with Kabbalah, Avital’s vision of the world is guided by sacred texts and a lifelong personal practice. With kabbalistic principals firmly embedded in his way of teaching, it is clear, for those interested, that his exercises are in fact revealing a deeper wisdom, an ancient science based on the cosmic laws of creation.